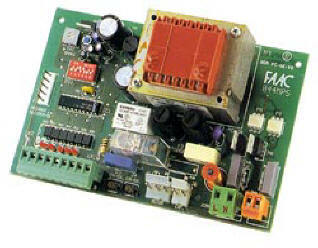 Securitex Electronic Systems Engineering/Autogate sliding FAAC 844. Our special twin-disc anti-crushing clutch that runs in an oil bath, enable the thrust to be adjusted from 0 to 190 daN on the three phase version combined with an intelligent electronic device that is able to detect the presence of an obstacle immediately, reversing with the gate when it's closing and stopping it when it's opening. Continuous technological development building on thirty years leadership is your guarantee of an inimitable product. The 844 operator has been designed to provide the simplest, most cost-effective solution for moving even the heaviest gates in commercial or industrial application. The 844 motor and gear unit delivers smooth performance at any latitude and in every operating condition. 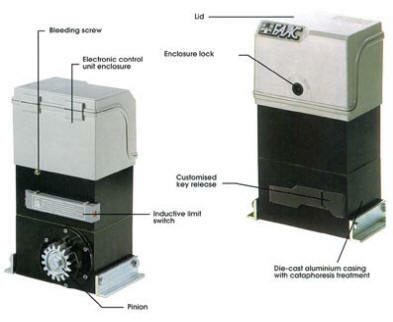 Constant lubrication of the mechanical components, which are all mounted in an oil bath and assembled in a single high-strength die-cast aluminum casing, ensures a very long service life. The electronic equipment is housed in the gear motor for easier, faster and more economical installation. The compact size of this unit makes it ideal for residential applications. The fact that the gear motor cannot be reversed makes it unnecessary to install electric locks. While the release device enables the gate to be opened and closed manually in the event of a power failure, This device is also available with a customized key. The reliability of FAAC technology means that practically no maintenance is needed. You can rely on constant, prompt service with expert answers to all your needs from FAAC's extensive service network of qualified installers. FAAC products comply with European Directives applicable to the gate and door automation sector and are certified by and accredited laboratory. Power supply: 230 V - (+6% -10%) 50 (60) Hz. Electric motor: Single phase, bi-directional. Absorbed power: 650W. Current drawn: 3.5A. Thrust/traction force: 0-110daN(Z16). Motor speed: 1400 rpm. Motor winding thermal cutout: 130degree Celsius Clutch: two-disc, oil both Reduction ratio: 1:30 Ambient temperature range -20degree Celsius to +55degree Celsius. Weight with oil: 14.5 kg. Oil type: FAAC oil XD 220 Gate speed: 9.5m/min. (Z16). 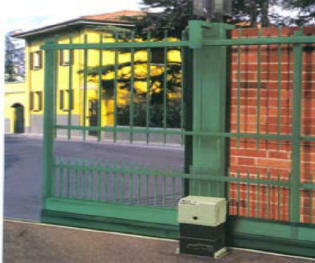 Maximum gate weight 1800 kg. Housing protection IP 45.